In the modern age, safety features on road vehicles are not anymore considered as a luxury. Fog lights are one of these features that can make your trip safer. 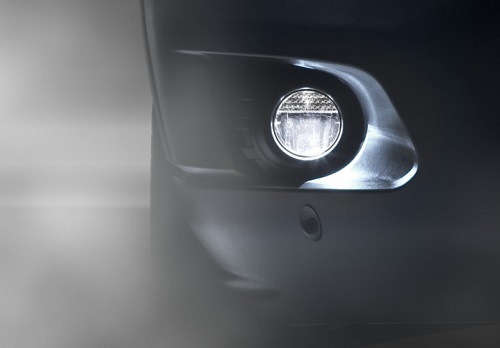 The best fog lights provide clarity of vision in difficult weather conditions. Some vehicles are manufactured with fog lights, while other are not. Maybe the OEM fog lights is not to your liking and you need an upgrade. For whatever reason you are considering to buy a new set of fog lights, it is important to have a look at the market leaders. We will discuss the best LED fog lights, the best fog light bar as well as the best fog light kit available. They noticed a gap in the market since it seemed like all the aftermarket lights were either crazy expensive or of a poor quality and they decided to do better. They were one of the first companies to start developing quality aftermarket lights at an affordable price. The LED lights have a very long lifespan of up to 50 000 hours, which is great since you do not need to replace bulbs every so often. The lights are further protected by OPT7’s Modular heat protection which includes a 7000rpm TurboCool fan, the Redline Cool ASIC-X LED Control driver and the Cold Pressed Aluminum Heat Sink, which serves to dissipate the heat better. Another super feature of our winner is that it is a Plug&Play system, with CanBUS-ready lights, which means that you just connect the light to your vehicle’s existing power system. One of the biggest advantages of the OPT7 FluxBeam LED Fog lights is that it comes with Arc-beam Technology. This produces a focused light beam without scatter and eliminates dark spots. 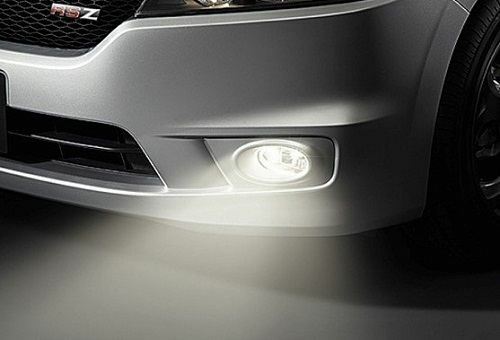 Naturally your clarity of vision is much better than fog lights without this feature. The OPT7 FluxBeam LED Fog lights are waterproof with an IP67 rating, which means that it could be immersed in one meter of water for 30 minutes. This ensure that your lights will stay working in heavy rains or snow. 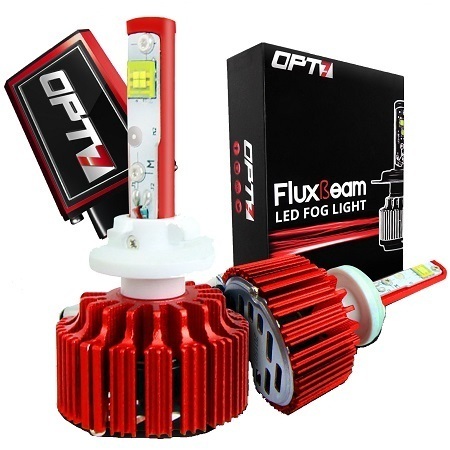 The OPT7 FluxBeam LED Fog lights can be used to either replace or upgrade OEM (Original equipment manufacturer) Halogen bulbs. Shining the brightest, the OTP7 FluxBeam LED Fog Lights deserves its spot at the top. 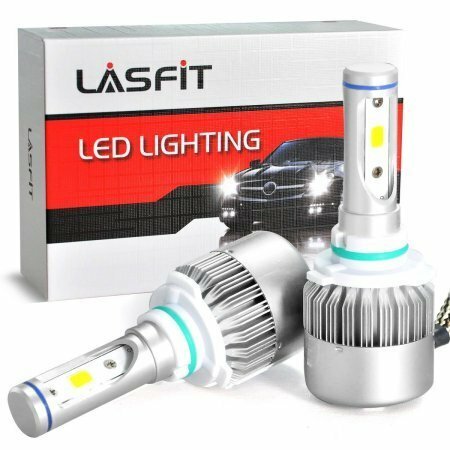 LASFIT is one of the new kids on the block when it comes to the best aftermarket LED fog lights. They are a Canadian company, situated in Ontario and started off in 2015. Their main focus is automobile LED lightning and they market themselves as providing high quality products at an affordable price, with excellent customer service. The LASFIT LED Fog light system is manufactured to replace or upgrade your halogen or xenon HID fog lights. They are extremely bright lights which works very efficiently to produce clearer vision for the driver in low visibility situations and also to increase your visibility to other road users. LASFIT Fog lights has Amplified Luminous Flux which means that the normal flow of light is higher than usual and this adds to amplify the brightness of these lights. One of the claims to fame of our runner up is that it is designed with COB Flip Chip technology. This provides a more focused beam pattern, with reduced scattered beams and less dark sports. It broadens your visual field and since it is more focused it is less blinding to oncoming vehicles. The COB Flip Chip technology also serves to provide less thermal resistance and thus decreases heat output, which prolongs the working life of your bulbs. The LED lifetime is up to 30 000 hours. To decrease heat output further, the LASFIT Fog light system features a 9000rpm Hydroid pressure fan with AirFlux Dual Cooling, which combined with the cold pressed aluminum used is very efficient in keeping the temperature down. The LASFIT LED Fog lights are waterproof and anti-corrosive with an IP67 rating. They are easy to install and also features a Plug&Play system that connects directly to your vehicle’s factory housing and plugs. This means no relays and no wire cutting, which makes it so much more user-friendly. LASFIT offers a convenient installation service at an extra cost in certain areas, since some cars might need a technician to install it. Others won’t and you should be able to do it yourself at home. It is easy to see why the LASFIT LED Fog lights are a firm favorite: They are bright, crisp, focused and so affordable. JDM Astar is an online company specializing in LED lightning systems for all kinds of vehicles. Their aim is to supply quality LED replacement bulbs at an affordable rate. Customer satisfaction is priority and their goal is to provide you with a satisfactory experience. The JDM Astar 144-Ex Chipsets LED Fog lights is certainly the most competitive priced LED fog light on our list. Still the quality is good enough to consider it a great buy. It consists of a set of two projectors that promises a quick and easy installation in your car, to replace or upgrade existing fog lights. It is however advisable that if it is the first time you install LED lights on your vehicle, it is better to ask a qualified technician’s help. It features a bright output of LED lights at about 1200 lumens per bulb. Different sizes of bulbs are available, so make sure before you buy what is the best fit for your vehicle. The JDM Astar 144-Ex Chipsets LED Fog lights have a Xenon White color with a color temperature of 6000 K. It fits 9040, 9140, 9145, 9050, 9155 and H10 sockets. Since it is LED type fog lights it has quite a long working life of up to 20 000 hours. JDM Astar 144-Ex Chipsets LED Fog lights comes with a one-year warranty. Therefore, it is worth it to try them out at this very affordable price. Nilight is a brand of ZNDER INC who is also a fairly new company, based in New Jersey. The founder and CEO is Shusheng Fang. They specialize in automotive electronics and accessories. The Nilight Fog bar provides a high intensity light for off-road use. It has a total output of 126 W and an input voltage of 9-30V DC. It fits 12V and 24 V vehicles. 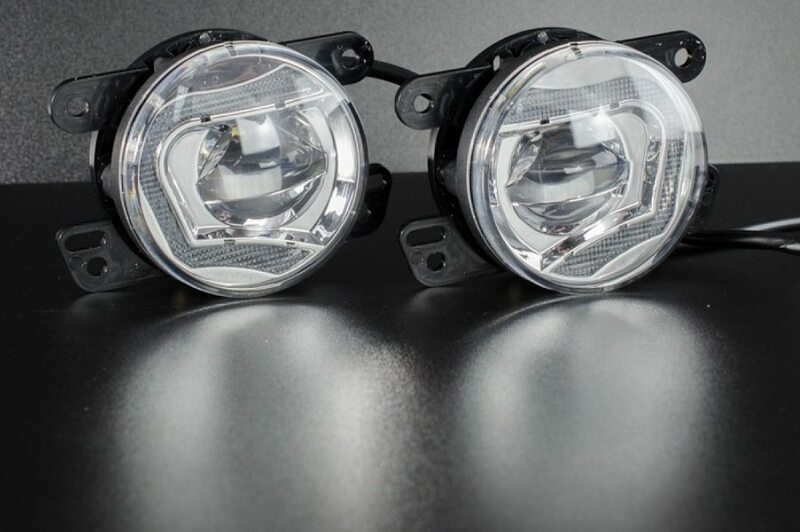 It is important to note that since this is such a powerful light, it can only be used as a fog light in off-road situations, because it is blinding to other road users. The Nilight Fog bar has a long working lifespan of about 30 000 hours and the working heat temperature is 40 to 85 degrees Celsius. It produces a bright white light with a Kelvin color temperature of 6000-6500. The Nilight Fog bar is durable since it is water-resistant (IP67 rating), dust proof, shake proof and anti-corrosive. Since it is an off-road fog bar it needs to withstand harsh conditions. It has a waterproof rubber pad and a silicone strip to prevent moisture from entering into the light, in addition to an arched cover. The IP67 Rating declares it to be waterproof when submerged into one meter of water for 30 minutes. So, when you are driving through muddy puddles or shallow streams during heavy rainfall, your lights will be protected. Nilight Fog bar installs easily and has adjustable mounting brackets, which is useful if you need to adjust the angle of the light beam. The LED light beams works as a Spot Flood Combination. There are two types of light beams working simultaneously: The Spot light concentrates the light on a center spot which increases your illuminated distance and the flood beam provides a side pattern which clarifies your horizontal view. This is a highly effective combination. The Nilight fog bar keeps the heat output low by making use of aluminum alloy housing and high-quality heat conduction silicone gel. This all helps with heat dissipation. 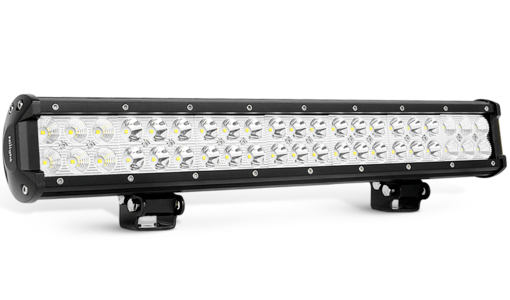 If you are looking for an off-road fog light bar that provides a strong output, is durable and affordable, this is your fog bar winner. KC HiLiTES is around since 1970 and is well known for its expertise in auxiliary performance lightning for off road vehicles. It was started by American Peter Kim Brown and his wife Carol Brown (their initials forming the name KC) in California. Peter was looking for a good auxiliary lightning system for his off-road vehicle and was unable to find one, so he designed his own. This resulted in the KC Daylighter which has been a pioneer in the off-road lightning arena. KC HiLiTES has a reputation for developing products of excellent quality. Their lights are engineered to be durable and though and comes with an incredible 23-year warranty. 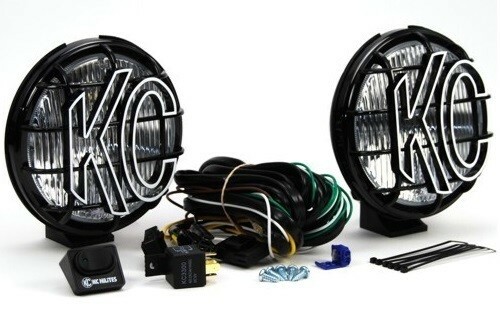 The KC HiLiTES 152 Apollo Pro Fog Light System is undoubtedly one of the best fog light systems on the market. The KC HiLiTES Apollo Pro is a tough fog light, designed for use on off-road terrains in severe weather conditions. Its superior quality is what makes the Apollo Pro set apart from the rest. It has an extremely bright light beam that is produced by its 55W Halogen bulbs. The Apollo Pro features an optical glass lens which is almost unbreakable. The light beam is more controlled due to computer designed polished reflectors. The KC HiLiTES Apollo Pro Fog lightning system is suitable for rough off-road motoring and fits your Jeep, truck or other SUV. Built-in stone guards serve as added protection for the lenses against small stones or debris coming up from the road while out exploring. Naturally this system has an IP67 rating in terms of water resistance and its Polymax housing is also dust proof. The light beam from the KC HiLiTES Apollo Pro kit is a low, broad angle light which not only illuminates the area in front of your vehicle, but also increases your side vision. It is able to penetrate small particles and fog. The Apollo Pro Fog light system is issued with a relay wiring harness set for installation, including 2-Pin weather proof connectors and a 30A illuminated switch. KV HiLiTES is a brand with an excellent reputation in the auxiliary and off-road lightning field. The KC HiLiTES Apollo Pro 6" 100w Fog light system lives up this standard and makes this a sure winner in the Fog light kit category. Every buyer will have different things to consider before buying one of the best fog lights on the market. However, there are some basic questions you need to answer for yourself before adding it to your basket and purchasing. We have listed a few of them here. It concerns fitment in your specific vehicle, the brightness of the light, the type of light output, ease of installation and the working life of the bulbs. Does It Fit In Your Car? Not all aftermarket lights will fit on your current vehicle. Therefore, it is important to make sure of the fittings before buying. There is no use in buying the best led fog light, but not being able to use it. These listed fog lights should fit onto most vehicles without difficulty, but it is your responsibility to ensure that it will fit on your specific model. It is important to look at the wattage and lumens of the fog light you want to purchase. The wattage is the amount of electrical power which the light produce, while the lumens is a basic unit to measure the flow of light. A light with a higher wattage and higher lumens would thus be brighter and clearer. Other measuring units to consider are lux and candela. Lux is a unit used to measure the illumination of a surface. It is a derived unit from lumen. Candela is a unit to measure the amount of light that is emitted in the range of a three-dimensional angular span. The difference between lux and candela is that lux only measures the illumination of an area and candela measures it at an angle. The distance of the surface from the light source determines how much will be illuminated by it. The more distant it is the less it will be illuminated. Therefore, not only the strength of the light output but also the angle at which it is emitted is important. Most of the manufacturers do not display all these units on their online adverts, but if you do see it you will have a better understanding of what it means. With regards to fog lights you need bright efficient lights that can illuminate the area around you well without blinding on-coming vehicles. Blinding other motorists is however not necessarily because of the strength of the light, but also has to do with the position and reflection of the light beam. Make sure the light you use is legal to use as a fog light in your specific country or state before installing. What Type Of Light Is It? The three main types of after-market fog lights are HID (high intensity discharge) lights, LED (Light emitting diode) lights and Halogen lights. 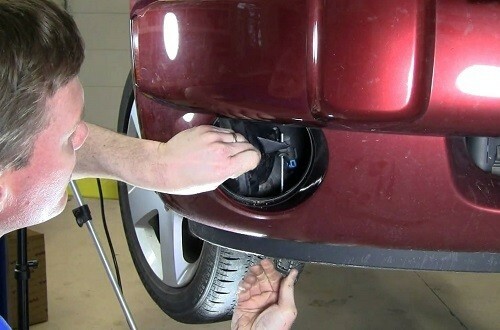 HID lights use xenon gas and are set alight by an electrical charge. They have a high light output and provide a wide beam pattern. They produce more than double the amount of light of standard Halogen bulbs and their working life is also much longer. 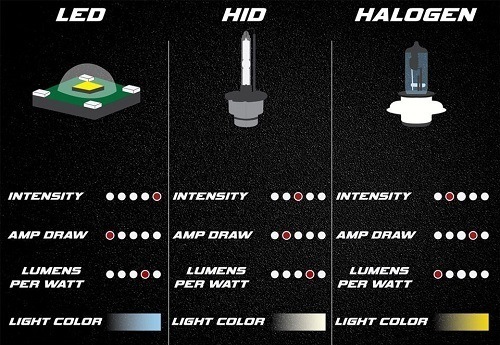 HID lights are however more expensive than Halogen lights. In comparison to LED lights they are more fragile and will wear out more quickly over time. LED Lights produces the longest working hours when compared to the other two lights. Since they have no filament that can burn out they are not as affected by vibrations. LED also generate less heat than HID bulbs and they use less power than HID and Halogen to operate. They are very bright and the most durable light of the three options. Halogen lights are mostly the standard type of OEM fog light. They are not as expensive and create light by heating a filament with electricity. It is the same principle that is used with normal incandescent light bulbs. Halogen lights are quite power consuming and places the highest demand on the electrical system of the vehicle in order to operate. They also do not last very long and need more regular replacement that the other type of lights. How Easy Is The Installation? It is important to know whether installation is a breeze or whether it poses a problem. With difficult installation procedures you have a risk of damaging the wires or other equipment of your vehicle or the light itself and you might be worse off than before you started. If you plan to install it yourself, make sure the product is user-friendly with clear instructions for DIY installation. 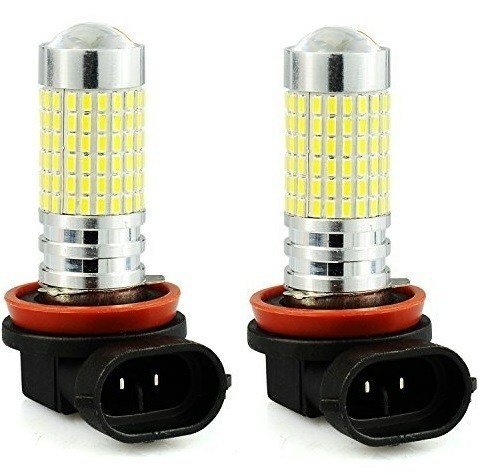 The best car fog lights are usually easy to install and feature a Plug&Play system, where you connect the new bulb to your current circuit. Otherwise, if you are unsure, rather get a professional technician to assist. How Long Can You Expect Them To Last? If you live in an area that necessitates the use of fog lights on a regular basis it is better to go for a longer lasting light e.g. a LED type fog light. LED’s have working life hours of up to 50 000 and are very sturdy and durable. HID fog lights have a lifespan in the region of 5000 hours while Halogen averages at about 500 hours. If you only use fog lights occasionally this might be completely suitable for you. When hitting the road, you want to know that you have all the lightning equipment you need, should you encounter difficult weather conditions. Fog lights are an important addition to your car’s safety features and might save your life by providing vision where otherwise it would have been obscured. If you are investing in a new set of fog lights, be sure to buy one of the best aftermarket fog lights available.